First we would like to thank all our dear players that have made the Closed Beta such a tremendous success. Thank you for all your patience in helping us make Magerealm one of the best browser games. With that said, GTArcade is proud to announce the official Open Beta for the great RPG game Magerealm! Starting 18th of June, all players can join the phenomenon in this new Free to Play sensation. 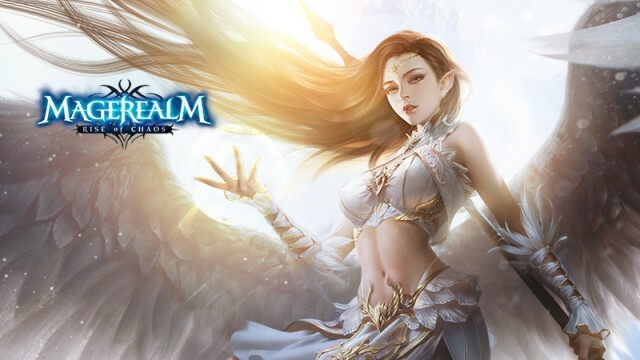 Featuring four unique character classes and countless heroes and angels at your disposal to tailor your experience, Magerealm is the ultimate fantasy ARPG. The game is a perfect combination of immersive role-playing and intense action, placing the player in a vibrant world filled with adventure and peril while remaining true to the fundamentals of great RPG’s: highly customizable characters, skills, and much more! Strategy plays a large role in your effectiveness in battle, and every choice you make can determine victory or defeat. The world of Magerealm provides infinite possibilities; how you shape your legacy is entirely up to you. Are you an RPG aficionado or career PvP player? No matter your preferences, Magerealm provides multiple avenues for players to shine. The epic story campaign offers a classic dungeon crawl, while additional game modes such as defend-style events and epic World Bosses bring together a robust PvE experience. If you have a thirst that can’t be quenched by hacking monsters, the fiercely competitive Arena, Ladder, and Raiders gameplay modes are available to those who seek challenges on a more human level. Can you beat the best players around the world and take your place among champions? Magerealm is an extremely feature-rich game. Players are presented with vast customization options, multiple advancement paths, varied crafting system, PvP, Guilds, Raids, an Auction House, and all the things you’d expect from a triple-A title. You will never run out of things to explore in Magerealm. Players can spend hours and hours learning and mastering the intricacies the game has to offer. Whether its advancing through the epic solo campaign, joining friends in guild activities or proving your worth in various PvP modes, there are activities for everyone to enjoy. And the experience never ends; frequent content updates and events will keep players coming back for more. Join the Magerealm and receive a special gift only for OB players! Redeem your gift code in-game for fantastic rewards to jump start your epic adventure. 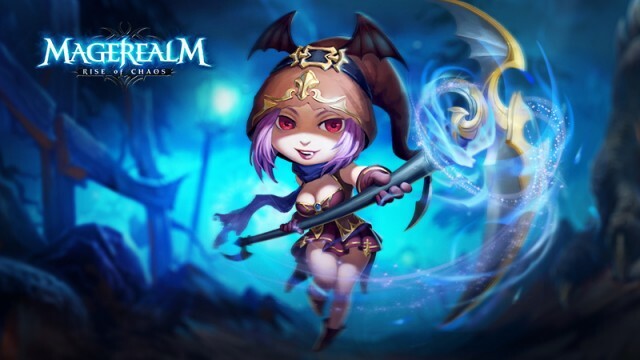 Take up arms and prep your spells, Magerealm is here!